The first time I tried to wax my legs at home was a train wreck. How hard could it be, right? Well, let’s just say those gals at the salon make it look like a walk in the park. Ripping hair off your body isn’t for the faint of heart. Nor is it for the unprepared (which I surely was). But after lots of trial and error, I can officially say that if you do it right, it might even be a little enjoyable. In a masochistic self-care sort of way. But, hey, it beats shaving any day, so I’ll take it. Here’s how to wax at home like a pro. 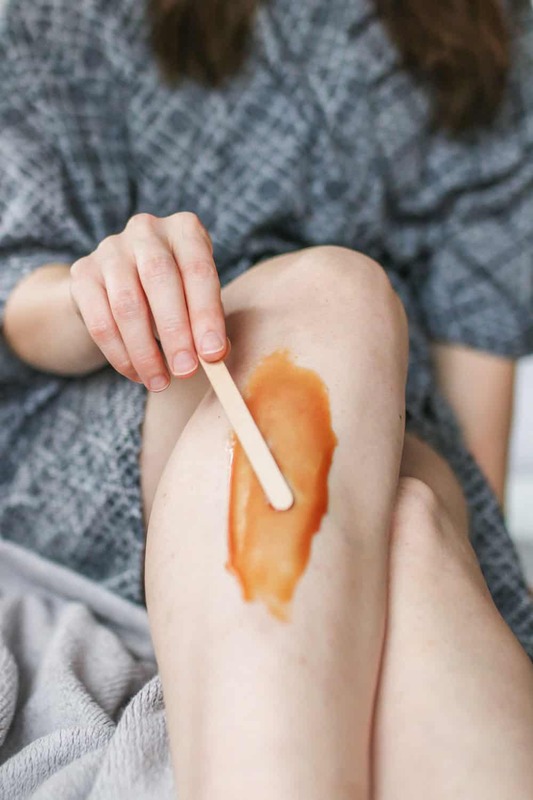 All you really need to wax at home are a popsicle stick, depilatory wax and cotton waxing strips. Everything else, like a wax warmer, post-wax soothing spray or wax remover, are nice to have but not necessary. If those things will help you get the job done more easily, go ahead and purchase those too. But I prefer to Marie Kondo my waxing supplies and only keep the necessities on hand. Combine all ingredients in a saucepan on medium heat. Stir constantly until you get a thick, honey-like consistency (it will darken as it cooks and that’s okay). This may take between 10 and 20 minutes depending on the size of your saucepan and how hot your stove gets. Remove from heat and let sit for 20 minutes to thicken up. If it’s too thick, add a tablespoon of water at a time until you get back to the right consistency. 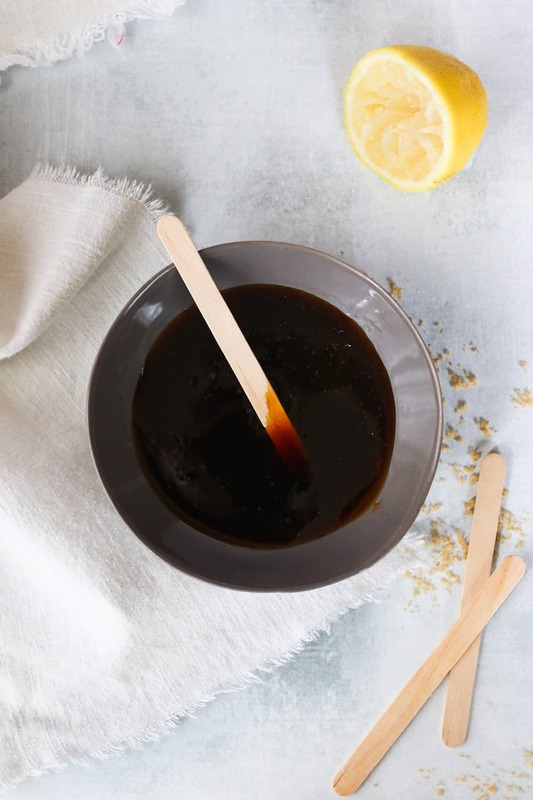 If you’d prefer not to make your own, you can also buy sugar wax online or at a local drugstore. If hair is too short, the wax won’t be able to get a good grip and you’ll be left with a spotty wax job. Hair that’s too long can create an equally unpleasant scenario. To be safe, aim for around ¼-inch of growth. Making sure skin is clean helps the wax adhere to the hair follicles. Wash with a bar of soap and water or pick up a pre-wax cleanser that will evaporate cleanly without you having to rinse it off. 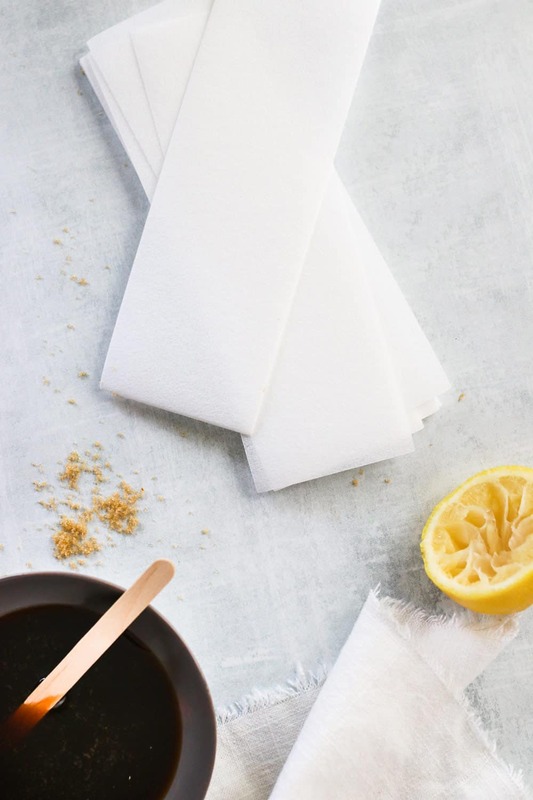 If you don’t have a wax warmer, pop you sugar wax in the microwave for 30 seconds to warm it up slightly (if using store bought wax, follow the instructions on the package). Grab a popsicle stick and dab a bit of wax on the inside of your wrist. You’ll know if the wax is too hot. Continue heating the wax in 15-second intervals until it’s soft and spreadable but not hot enough to burn you. Working in 2-inch sections, apply wax in the direction of hair growth. Let sit for 5-10 seconds before placing a wax strip on top and smoothing it down gently. Pull the strip off in the opposite direction of the hair growth, being sure to hold the skin underneath taught to lessen the pain. While not required, feel free to apply an after-wax soothing balm or spray to calm inflammation, seal the follicles and remove wax residue.